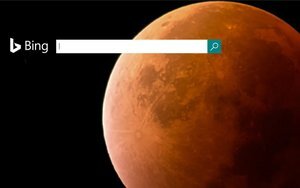 Microsoft reported Tuesday that search revenue from Bing, excluding traffic acquisition costs, grew 16% -- driven by higher revenue per search and search query volume. More than 40% of the search revenue in June was driven by Windows 10 devices. Microsoft expects COGS to quickly reach about $7.5 billion to $7.6 billion, as a result of device sales. Bing's ad revenue still dwarfs Google's and Facebook's, but it made progress by striking deals with Apple, Amazon, and Yahoo, as well as tying searches to its voice assistant Cortana. Google remains Bing's biggest rival when it comes to search. The major difference between the two is that Microsoft depends on a variety of revenue-generating ventures and Google, for the most part, relies on advertising. Microsoft reported $92 billion in non-GAAP revenue and $2.10 in adjusted earnings per share for the full year. The company’s operating income was $27.9 billion on a non-GAAP basis. Personal computing such as Windows, Devices, Gaming and Search came in at $8.9 billion in revenue compared with $12.7 billion in the last quarter. The Surface line continues to see progress, climbing 9% in the last quarter -- mostly driven by Surface Book and Surface 4, but the phone revenue declined 71%. A jovial Nadella said: "Microsoft Cloud is seeing significant customer momentum and we’re well positioned to reach new opportunities in the year ahead." Revenue from its Intelligent Cloud business in the quarter ending June 2016 hit $6.7 billion and Azure revenue grew 102% year-over-year, with the expectation it will hit a $20 billion run rate by 2018. Although Nadella didn't say it, the advertising surely plays a role in the need for storage. As its phone business declines, Microsoft is betting hard on the future of cloud services by pouring billions of dollars into cloud computing and storage. Earlier this month, Microsoft revealed that it worked with the University of Washington to find a way to store 200 megabytes of data on synthetic DNA strands, an amazing feat. Still, competition is fierce in cloud services -- especially with Amazon, IBM and Google. Similar to Microsoft, Martin Schroeter, IBM SVP and CFO, said during the company's earnings call that for the latest quarter IBM delivered 12% revenue growth led by cloud services. Cloud-as-a-service revenue rose 50% with an annual run rate of $6.7 billion, up from $5.4 billion last quarter. Microsoft's earnings report for the quarter ended June 30, 2016 states that it had a $12.1 billion run rate in its commercial cloud products. In comparison -- and most interestingly -- Amazon said during the company's calendar fourth-quarter earnings call that its cloud services were on a $10 billion run rate. Amazon is expected to post second-quarter earnings on July 28.